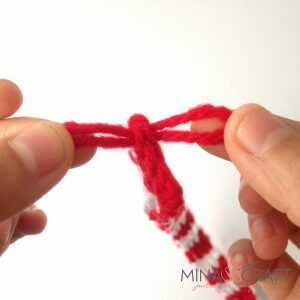 16.- fold the arm and make 3 sc, both sides together to close. 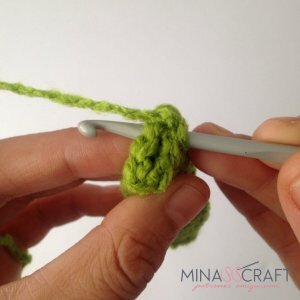 ch 2 count as hdc, make 1 hdc in the same st, hdc in the next 2 chains. 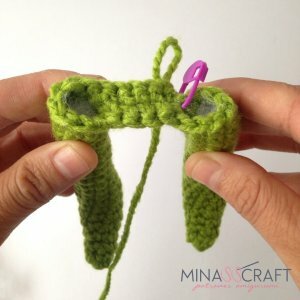 sl st in the second chain, fasten off. 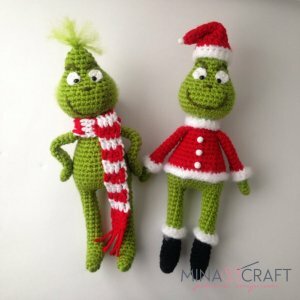 Start stuffing as you go! 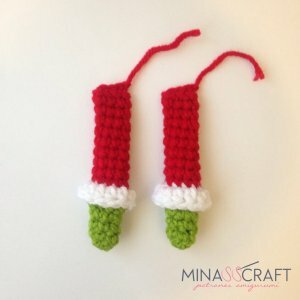 Stuff firmly, fasten off . 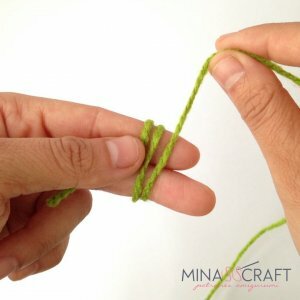 ch 2 count as hdc, make 1 hdc in the same st, hdc in the next chain. 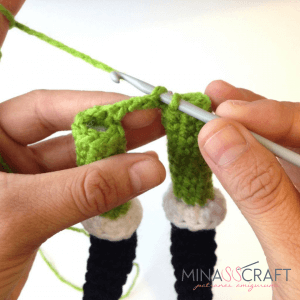 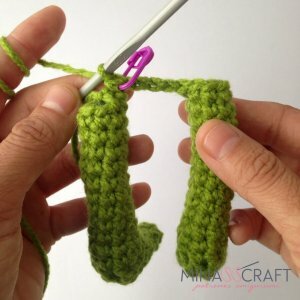 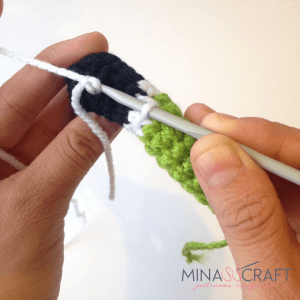 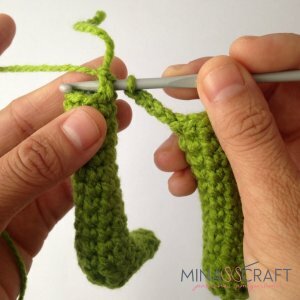 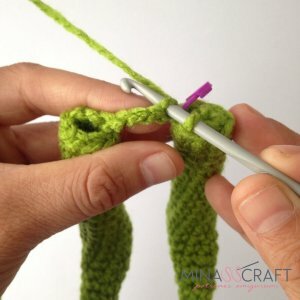 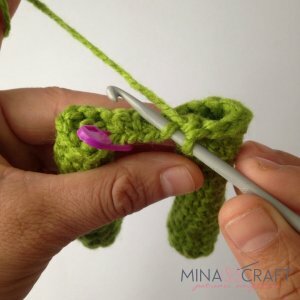 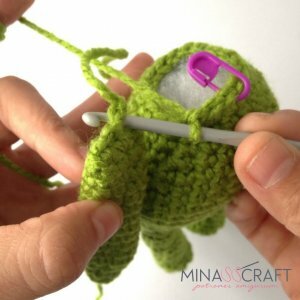 now join the legs , place your stitch marker in the first sc. 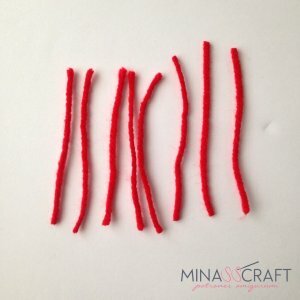 sl st in the first sc, fasten off. 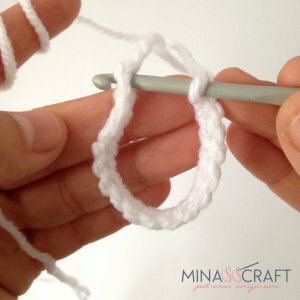 sl st in the second chain, fasten off and brush all the white parts. 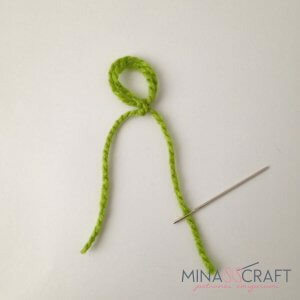 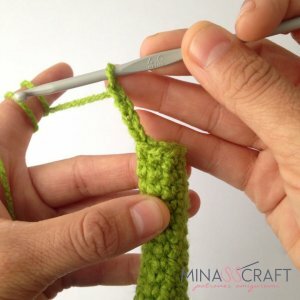 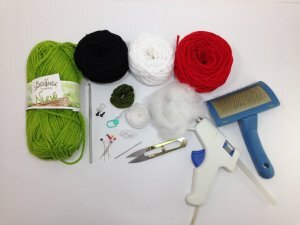 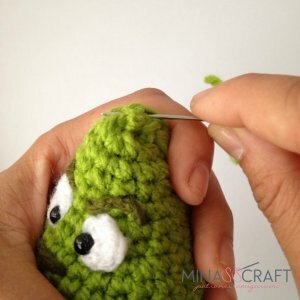 Place the safety eyes and close the ring , leave a long tail for sewing. 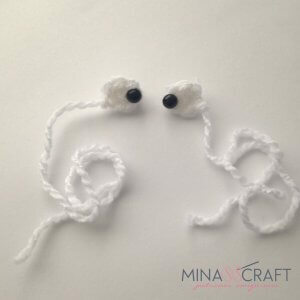 Place safety eyes between round 46 and 47 with 2 stitches apart and sew the white part. 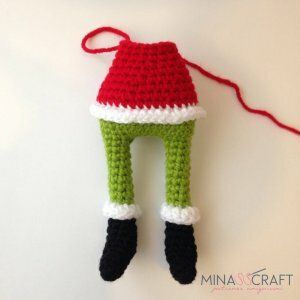 Stuff firmly , fasten off. 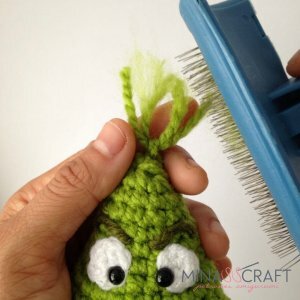 sew it to the head, cut and brush it. 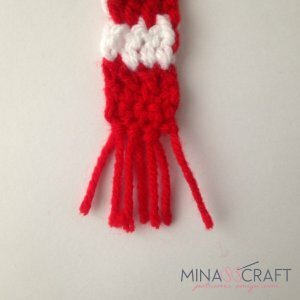 Finish row with sl st in the 3rd ch. 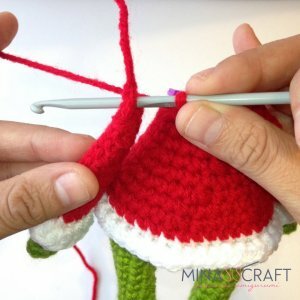 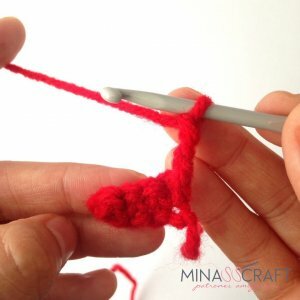 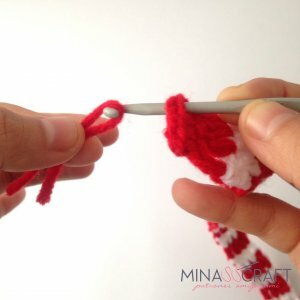 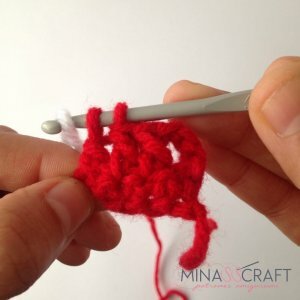 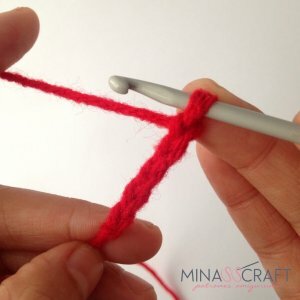 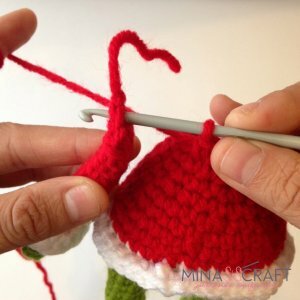 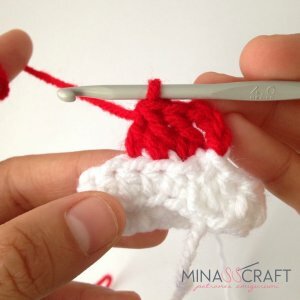 Cut 8 pieces of 10 cm of red yarn you will use 1 strands per “fringe”. 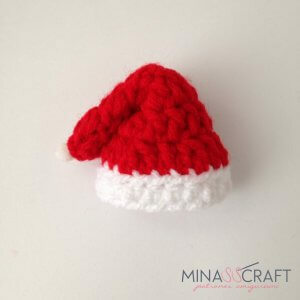 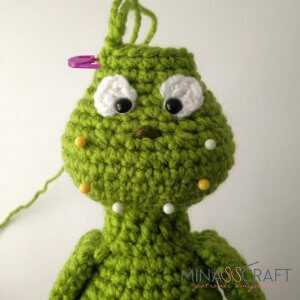 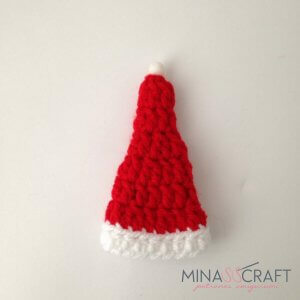 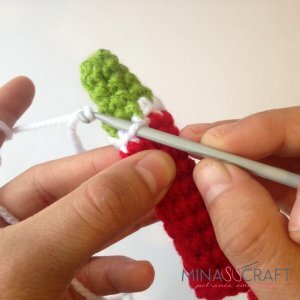 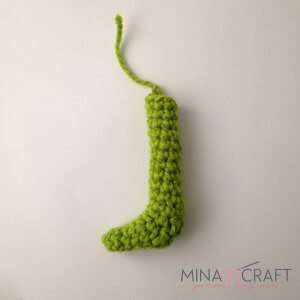 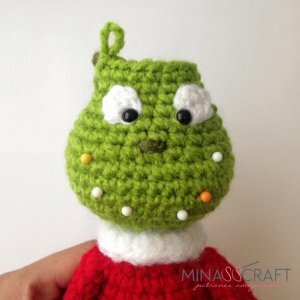 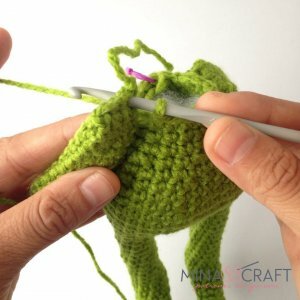 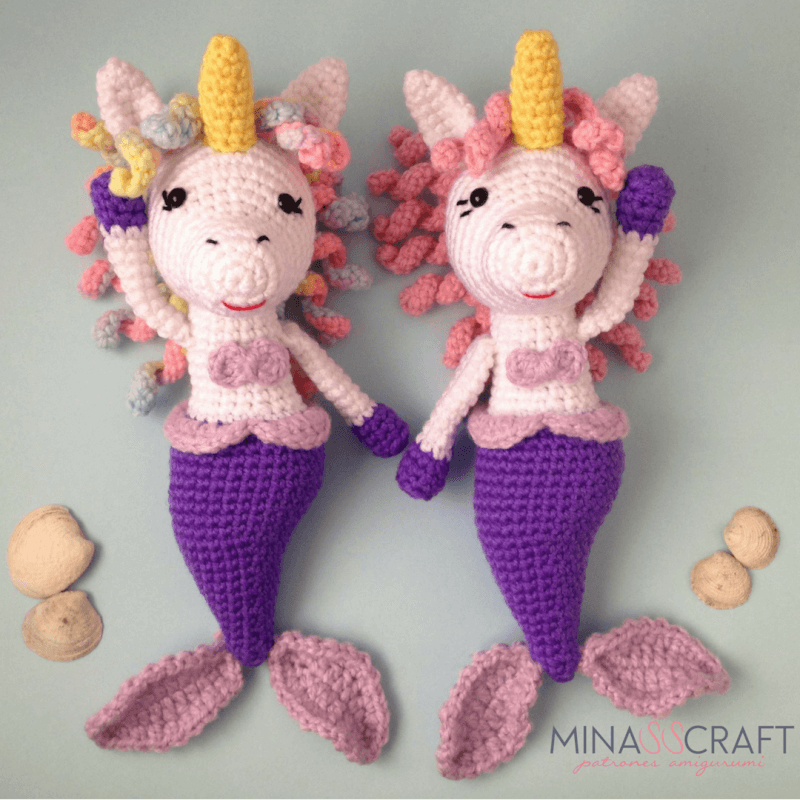 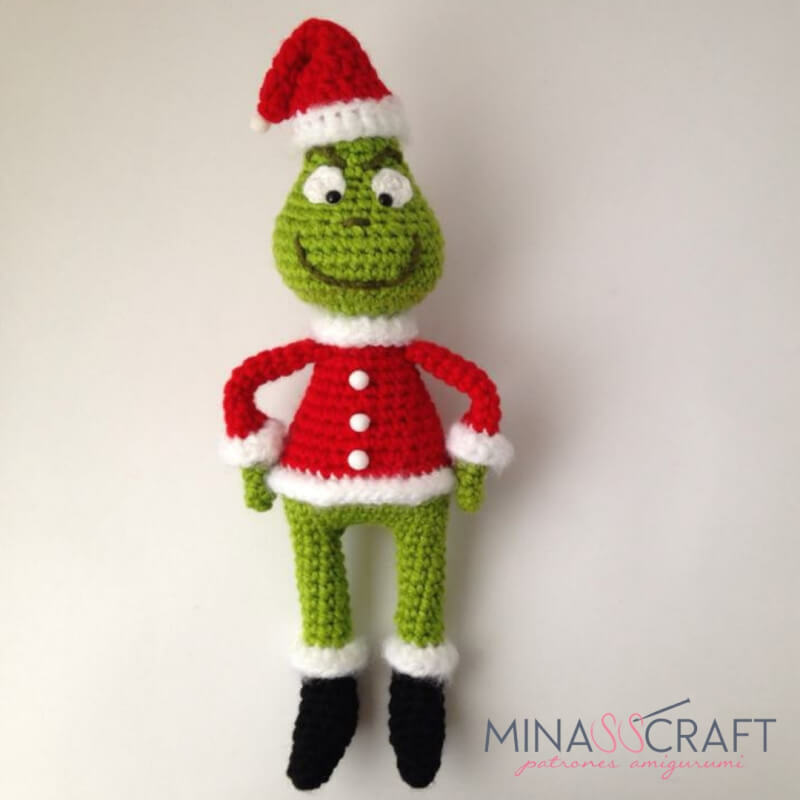 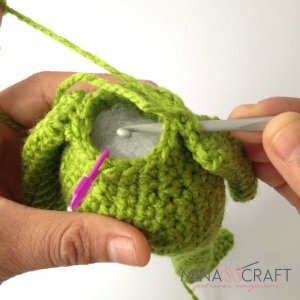 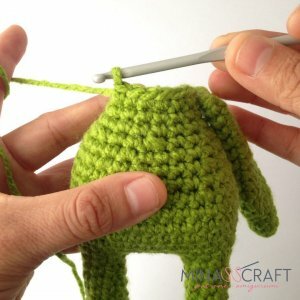 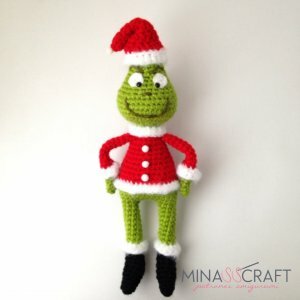 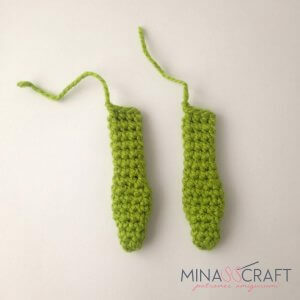 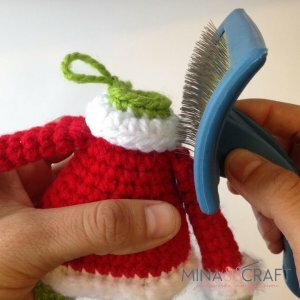 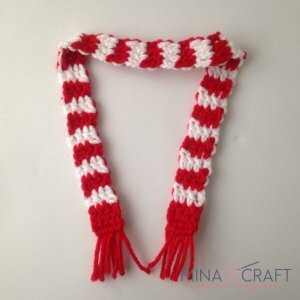 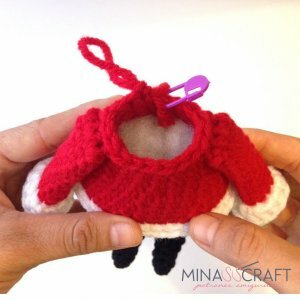 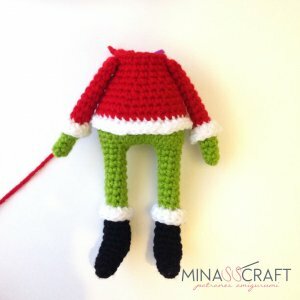 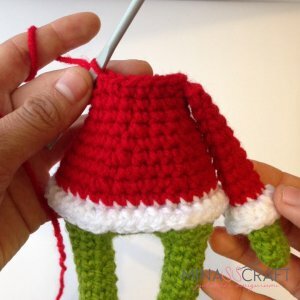 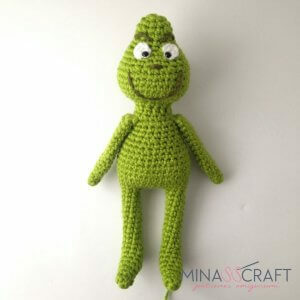 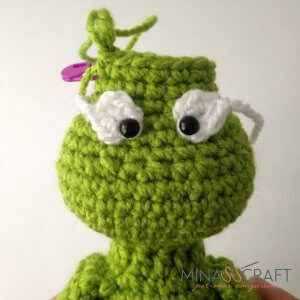 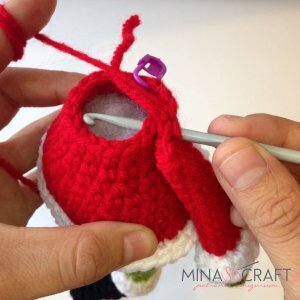 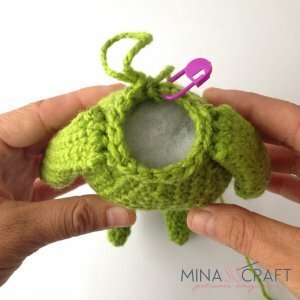 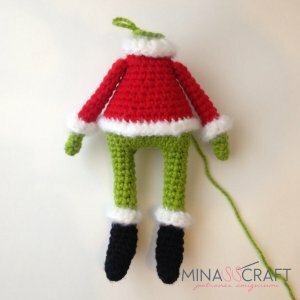 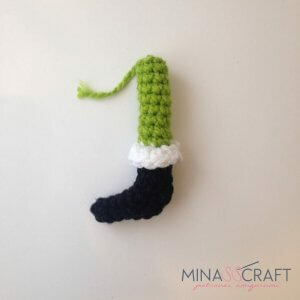 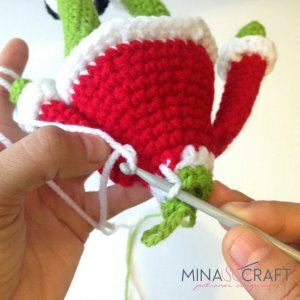 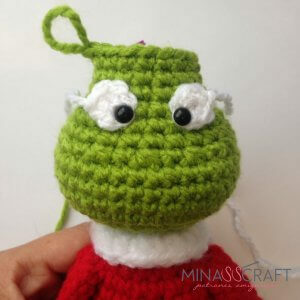 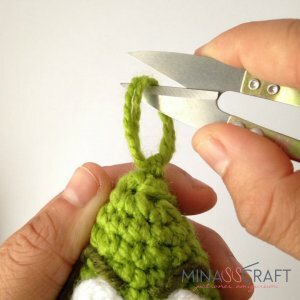 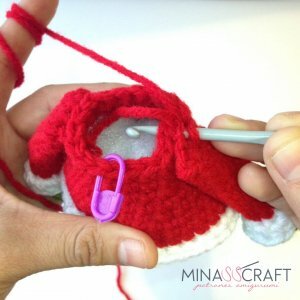 Of course, you can sell the doll of this pattern in small quantities if you name Yazmina Nieblas (Author) and provide a link to the website www.minasscraft.com Thank you! 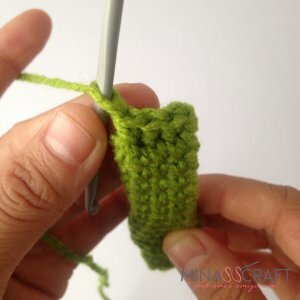 Love the shaping in this pattern. 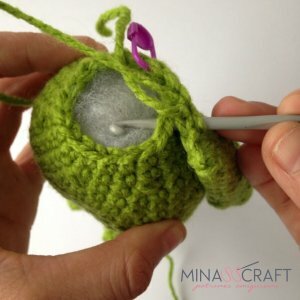 Wonderful job, thank you for sharing. 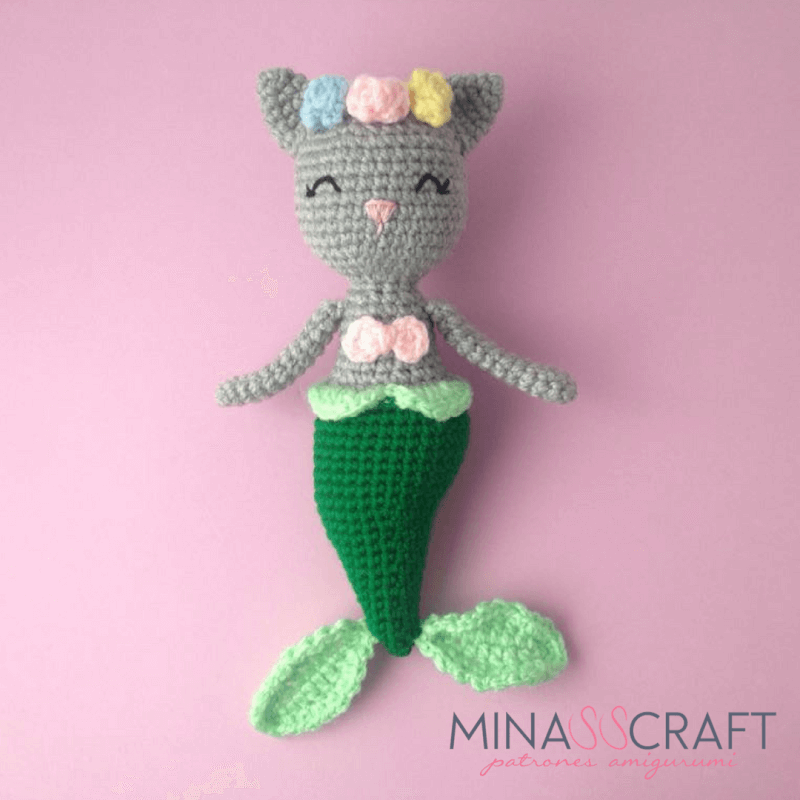 Ahhhhh, this is so cute ☺️ thanks a lot! 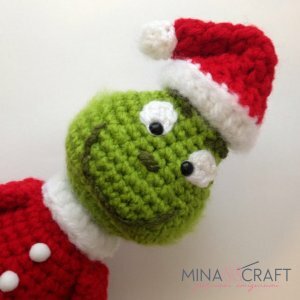 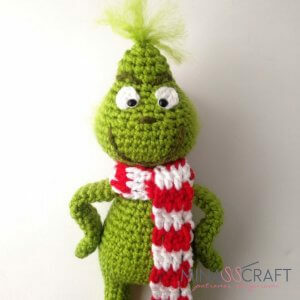 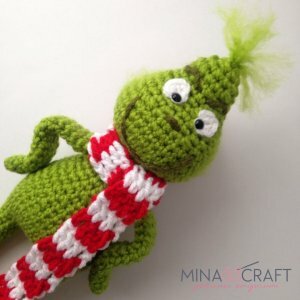 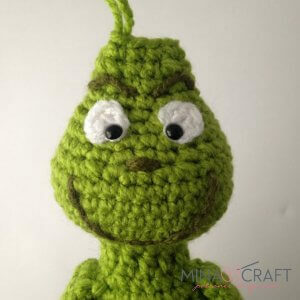 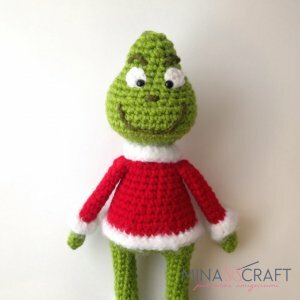 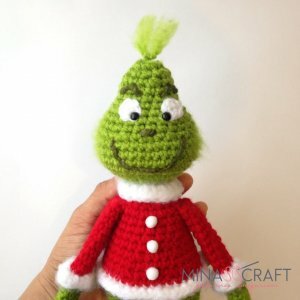 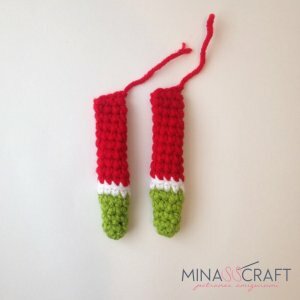 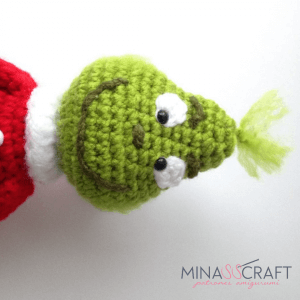 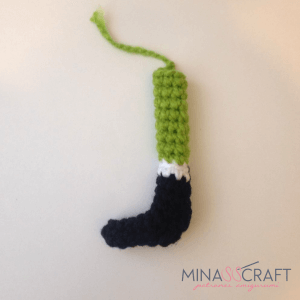 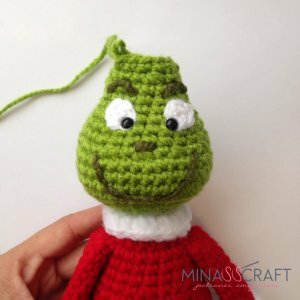 I wish there were Grinch KNITTING PATTERNS. 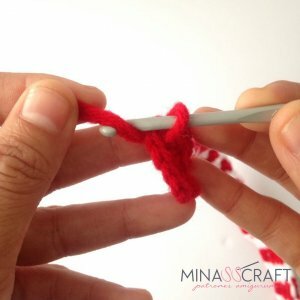 Muchisimas gracias por permitirnos usar sus patrones. 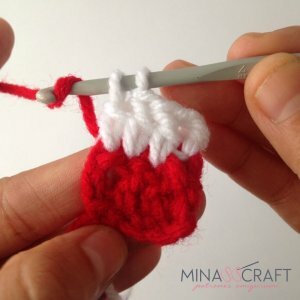 Estan muy bellos. 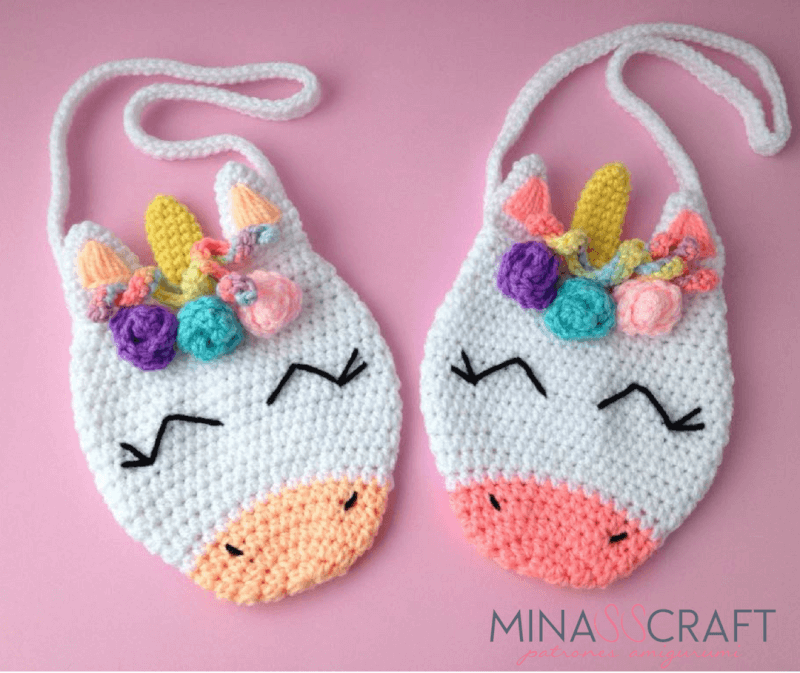 Me encantan!